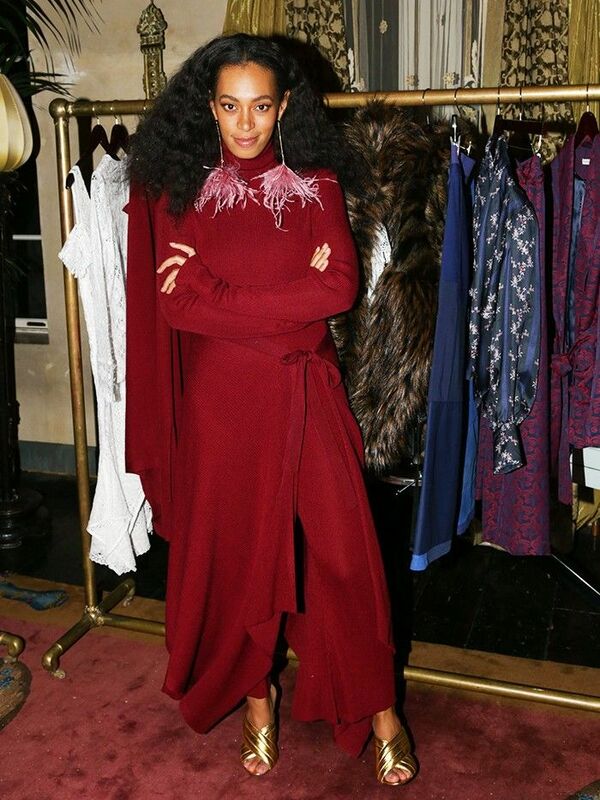 On Solange Knowles: Rodebjer top and culottes; Gucci Metallic Crossover Sandals (£530). On Kate Bosworth: Creatures of the Wind turtleneck, sweater and skirt; Stuart Weitzman Highland Boots (£650). On Charlie XCX: Adam Selman skirt; Nike sneakers. On Alicia Vikander: Barbara Casasola top and trousers.